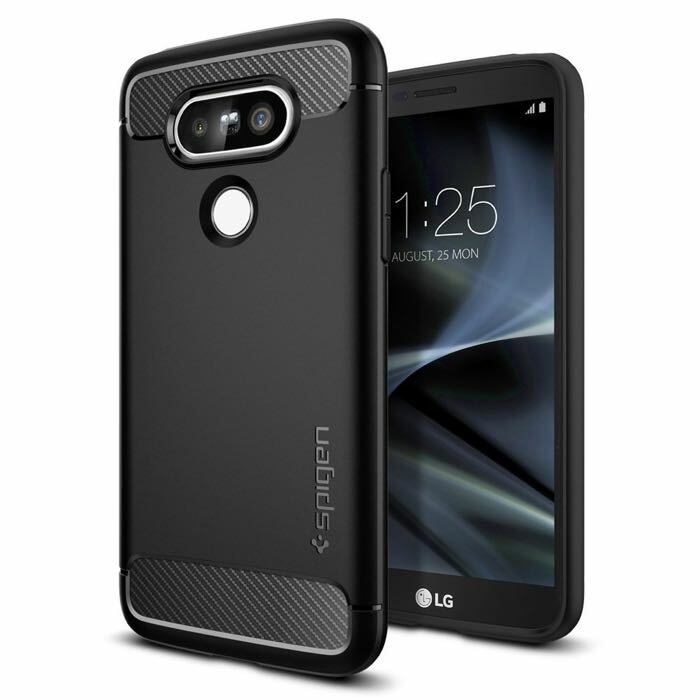 Last week a case for the new LG G5 smartphone turned up on Amazon and now another one has been listed, this one shows the design of LG’s new flagship like the last one. The LG G5 is rumored to come with a 5.6 inch Quad HD display with a resolution of 2560 x 1440 pixels, the handset will apparently be powered by the new Qualcomm Snapdragon 820 processor. Other rumored specifications on the handset include 4GB of RAM and 64GB of included storage, plus a microSD card slot that will support up to 2TB cards. The new LG G5 is expected to come with an 8 megapixel front facing camera and a 20 megapixel rear camera. from the photos it would appear that there is two cameras on the back of the device, plus a dual LED flash, there is also a fingerprint sensor below the camera. The device is expected to come with Android 6.0 Marshmallow and will features WiFi, Bluetooth and 4G LTE. The company is said to give this handset a metal casing as opposed to the leather and plastic casings on the G4. We will have more details on LG’s latest flagship smartphone when it is made official at Mobile World Congress later this month.